Welcome to my much revised security research site, focusing on data hiding, steganography & steganalysis, and other security topics such as Phishing, Database Pen Testing, Wireless Security, and Mobile Device Security. 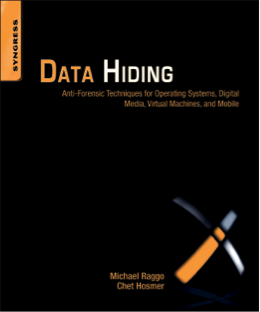 MY "DATA HIDING" BOOK IS OUT! 10/21/2008 - Checkout the Tour Page for recently uploaded presentation, papers, etc.